The chips fly during Father's Day weekend in Encampment as loggers come from all over the country to compete for the title of Rocky Mountain Champion Lumberjack. Using power saws, axes and hand saws, men and women competitors cut down “trees”, chop logs and saw squared wood blocks in half, racing the clock for the fastest time. Cowboys ride bulls and broncs. This unique Wyoming event assures a good time will be had by all. Sponsored by Encampment-Riverside Lions Club. For general questions, please call Jim Johnson 307-710-5558. For more info about the Jamboree, please call Ron Harvey 970-210-2955 or email woodchoppers@rocketmail.com. For more info about the Rodeo, please call Jerry Kraft 307-327-5374. Download Event Flyer - coming soon! The annual, two-day amateur rodeo features your favorite events: barrel racing, bronc riding, team roping, steer wrestling and bull riding. Activities for the kids include mutton bustin' and steer riding. Admission is just $7 per person per day and children 5 and under are free! Held Friday and Saturday nights at 7 pm the Buck Springs Rodeo Arena. Please call Terri Hinkle for more information 307-326-8825. Annual Little Snake River Lions Club CPRA/WRA Rodeo Saturday at 7:30pm and Sunday at 1pm (slack at 8:00 am). $1000 Added for rough stock, $500 all other events. Buckles in each even plus All Around. Happening at Russell Community Park in Dixon, Wyoming. Rodeo Dance after the performance on Saturday night. Fun Days to follow after Sunday's performance. Fun Day books open the Monday of the rodeo. Call 307-383-7976 for more information. Working Ranch Cowboy Association strives to preserve the lifestyle of the working ranch cowboy. There will be a minimum of 10 teams, and as many as 20. 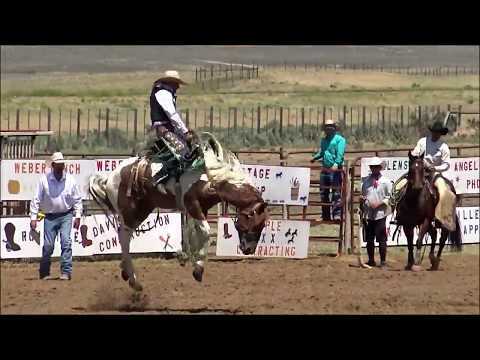 The winning team is automatically entered to the WRCA Finals in Amarillo in November. All team members must prove that they are a current “working cowboy” through payroll documents etc. which makes it pretty unique to other rodeos. Rodeo is held in Encampment, Wyoming. Contact Nick Wamsley 307-327-5550 for more information. The Saratoga Bullfest, a bull riders-only event is held at Buck Springs Rodeo Arena. For info on the Saratoga Bullfest, please call Bo 307-326-7991. A special thank you to Pam Meyer for the use of select photos of Saratoga's Bullfest used in the photo slider. The Carbon County Fair Grounds are located between East Spruce & Daley Street and between Harshman & Rodeo Street in Rawlins, WY. General admission to the Carbon County Fair is free!! Rodeo on Wednesday and Friday. Demolition Derby on Saturday. The charges are: $10 for ages 12+; $5 for ages 6-12 and free for 6 & under. ** Special Thanks to Kaylee Kerbs Photography for the use of photo. While you are in Baggs make sure to check out the Old Bank Bar. This building is on the National Historic Register and is located on old main street. This building once served as the bank in Baggs and later served as a bar.